The TD4WD Club had a wonderful trip to the Kennedy Mine for a private tour and then up to the Sierra Buttes Fire Lookout for breathtaking views. The Kennedy Mine is off of Highway 49 in Sierra City and is complete with a small museum, historic shop area, and stamp mill operated by the Sierra County Historical Society. The stamp mill is home to a colony of Townsend Big-Eared Bats – one even gave us a flight demonstration during our tour! The mine is normally open late May through early September. From the mine we headed up to Sierra Buttes Road. It starts as a paved town road but turns into a narrow shelf road clinging to the side of the mountain. A shelf road is nearly straight down on one side and straight up on the other. Some people find the drop off unnerving – but as long as you stay on the road you’re fine – just don’t go when there is snow, ice or mud. At the top we hiked up the ¾ mile trail to one of the most spectacular fire lookouts in California. 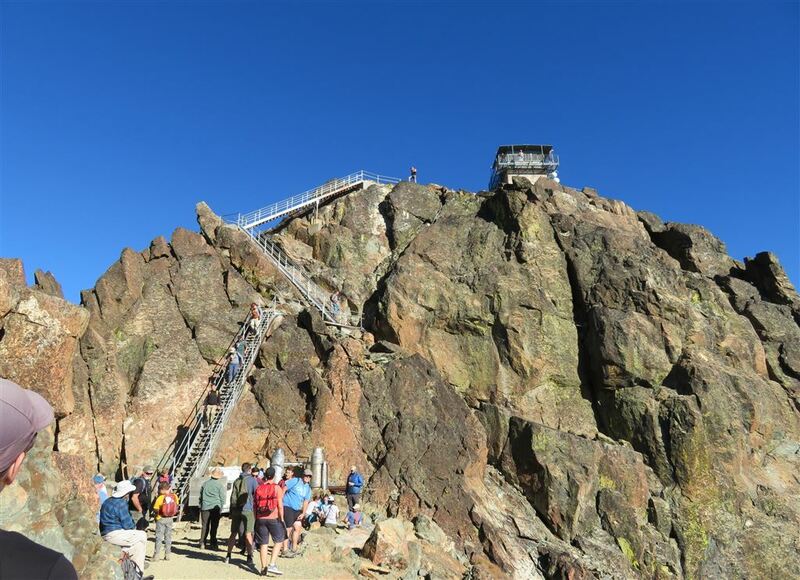 The Sierra Buttes Lookout is no longer manned, but is in good condition and well worth the visit. The open steel grated decking is a challenge for those of you who are afraid of heights, but it a safe place to overcome your fears.